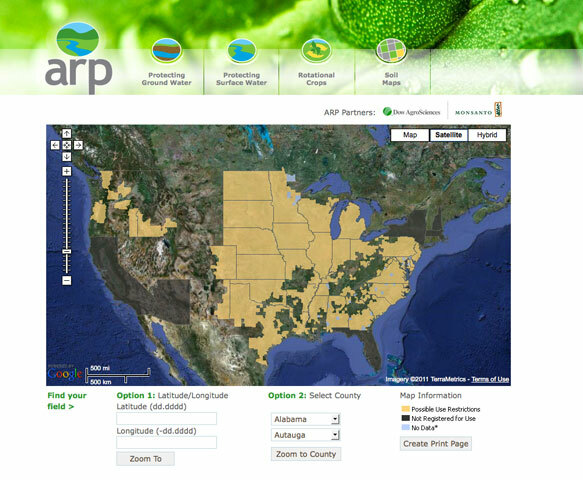 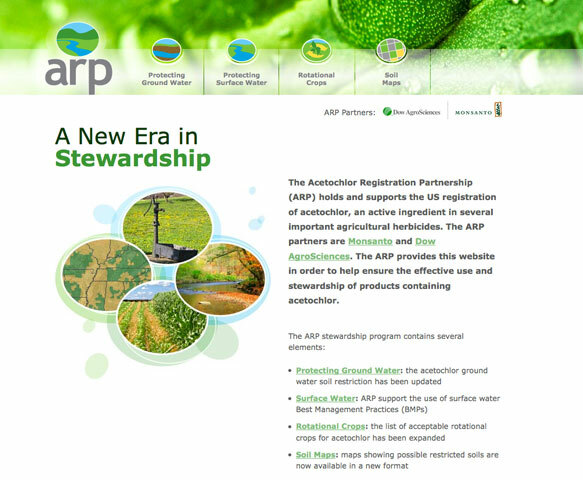 The ARP website acts as a steward for manufacturers and users of Acetochlor, an active ingredient in several important agricultural herbicides. 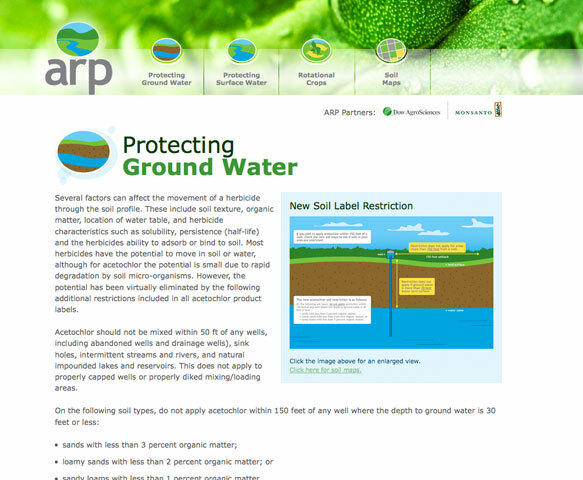 It informs the user of best practices for ground-water protection and crop rotation. 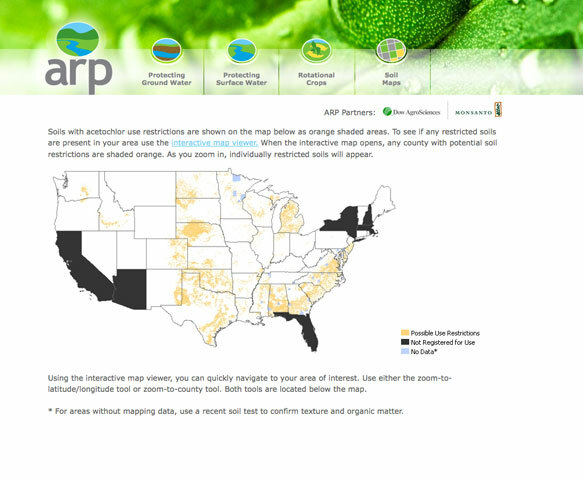 The Soil Maps section links out to a proprietary mapping system specifically designed to show restricted soils.